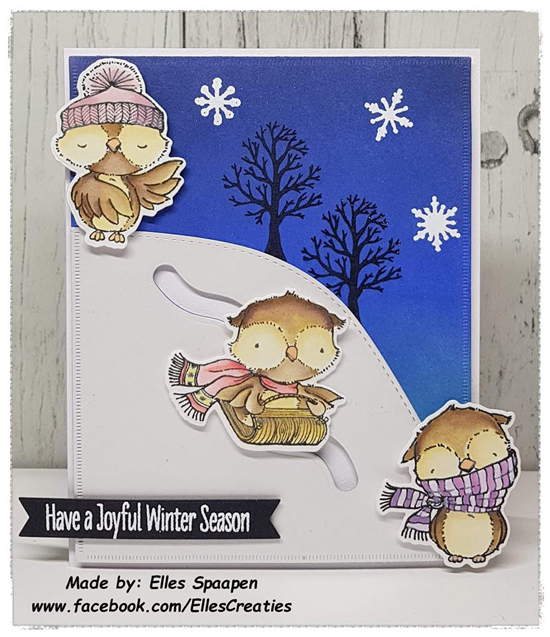 Toni created a clean & simple stamped design featuring the new Warm & Feathered Hugs stamp set. She added interest to her scene with a trio of pink trees that coordinate nicely with the colors she used on the scarf. 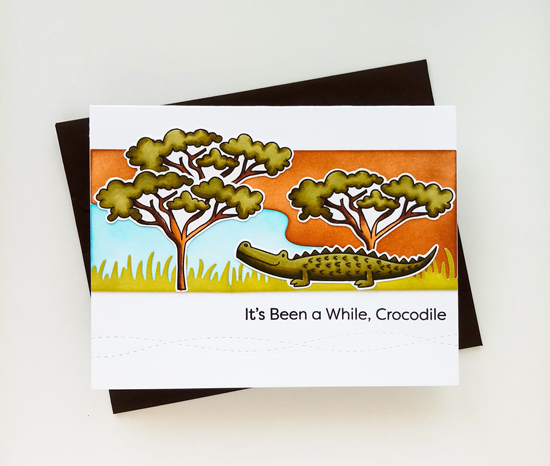 Sindu designed a beautifully colored safari landscape complete with greenery, a river and a crocodile as her main elements. The rich colors against the white background really make the scene pop while the coordinating sentiment adds a fun and familiar greeting. A trio of frosty friends are the focus on Erminia's card, and we love all of the details she added to the scene, from the snow-covered trees to the houses lined along her stitched snow hill. 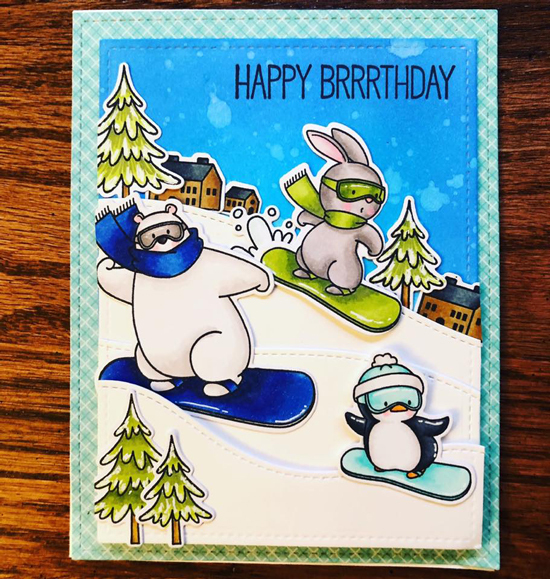 The sentiment completes the design and makes this a perfect choice to celebrate a winter birthday. Elles went with an interactive element on her fun and playful design, creating a slider channel in her snow hill perfect for a little tobogganing. The night sky and shadowed trees make the gorgeous snowflakes the focus on her background with a stamped sentiment banner adding a coordinating greeting. 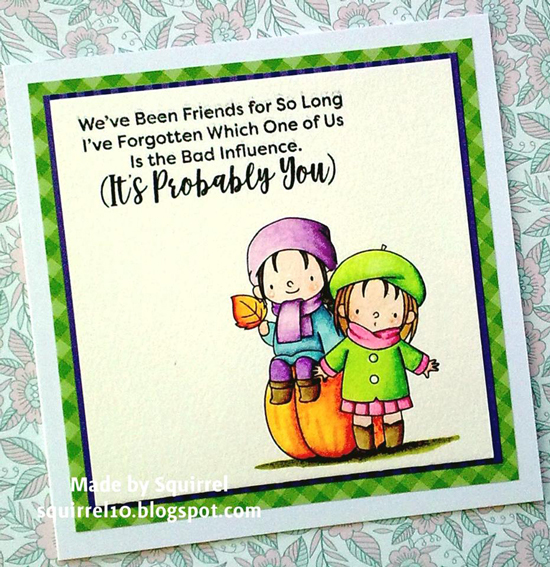 Shirley used the adorable stamped images from the Fall Friends stamp set to create a fun and sassy card perfect for all those special friendships. The added shadow grounds her characters, and the square design provides ample room for her stamped sentiment. 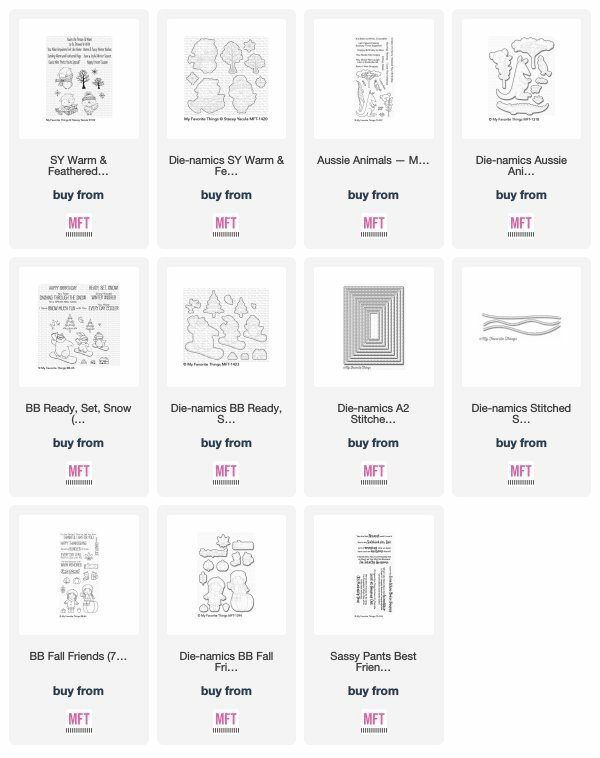 Thank you so much for featuring my card! So honoured. :) Congratulations to all the ladies..your cards are fabulous!